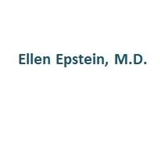 Ellen Epstein, M.D. (Rockville Centre) - Book Appointment Online! If you suspect you may have allergies or asthma, our office can facilitate an early appointment. We can do complete testing for some patients on the same day. The office also administers the flu shot beginning in September. Our office staff will help make your visit as comfortable and pleasant as possible. Advanced Allergy and Asthma, PLLC. is located in Rockville Centre which is easily reached by car, train, and bus in Central Long Island. We are in a large medical building with free ample parking.